Lavender is an Immune Booster? A immune booster is something that supports and encourages a healthy immune system. Daily we are bombarded with things that are destructive to our bodies and our health. Our lifestyles are fast paced and high stress. The technology of today is making it even more so by allowing us to squeeze even more into our already busy lives. How Lavender Oil Works to Boost the Immune System? Lavender Oil relieves stress and calms us down. The use of Lavender oil has been shown to drop and possible inhibit the flow of cortisol (a stress hormone) in our bodies. Cortisol lowers your immunity which is why many get sick during the busiest week at their job or at the most stressful time in their family life. Healthy eating, getting enough rest, adequate exercise, not smoking, avoiding and limiting stress all work together to boost your immune system helping your body to avoid viruses and illness much more efficiently. Stress is a powerful immune suppressant that often times is the key cause of the demise of our health. 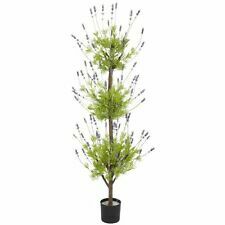 The are a wide selection of Lavender products out in the marketplace today such as natural air fresheners (from health food stores and online shopping), bath products, green household cleaning, and Lavender aromatherapy stress relief. Always read ingredients and choose pure high quality organic or pure all natural ingredients for maximum immune boosting support.